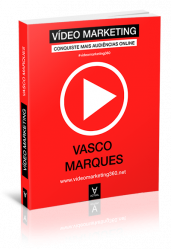 Vasco Marques (www.vascomarques.eu) has more than fifteen years of experience, has already held and participated in hundreds of events related to Digital Marketing, Video Marketing, Entrepreneurship and Social Media, available at www.vascomarques.com. 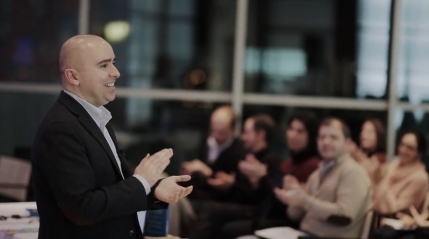 He trained more than twenty thousand professionals in seminars, workshops, training and consulting. With regular intervention in the media, he also participates weekly in TV, in a program with a rubric about Social Media. 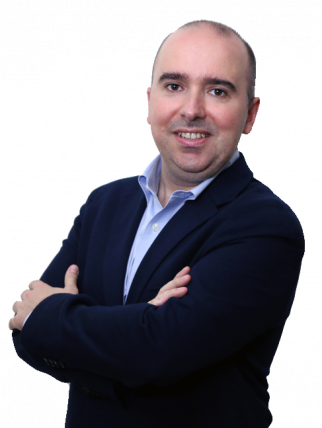 He has developed the Master Marketing Digital 360 specialization, giving rise to a new method of increasing performance of online results, which is used in training and consulting. He is present in the various national regions, but also in international events. 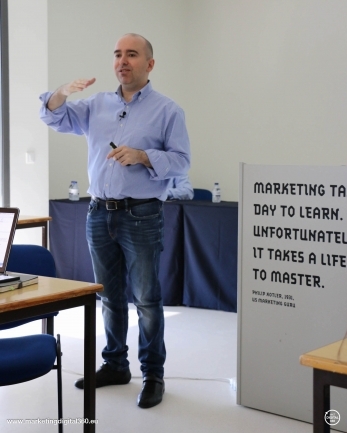 Especially in the Portuguese-speaking countries, where he held the 360 Digital Marketing Week, in a practical and immersive format, to prepare professionals and companies for online reality. 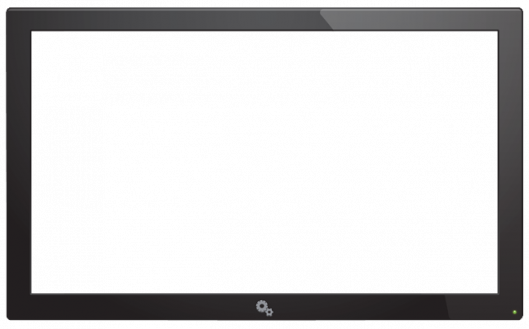 With several knowledge sharing projects, namely the W4B.TV and regular live broadcasts with news from the digital world. He holds an MBA (Master of Business Administration) specializing in Information Systems and e-Business. He has a degree and Master in Business Management, he is a Microsoft Certified Trainer (MCT), wich is the premier technical and instructional expert in Microsoft products, technologies, and solutions. MCTs are the only individuals that Microsoft authorizes to deliver training. Vasco Marques has a weekly rubric on the afternoon show in Porto Canal, "Olá Maria! ", about Social Networks. Invited to several national radio and TV programs, mostly in Portugal and Portuguese speaking countries: Angola, Brazil and Mozambique. Flexible, innovative, practical solutions in the digital marketing area can be delivered through our online training or professional learning programmes. 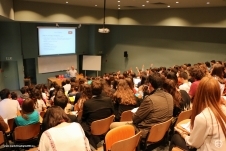 Guest lecturer in post-graduate and masters degree courses at several higher education institutions: Universidade do Minho, Isvouga, IPAM, IESF, ISAG, INP - Lisboa and Universidade Autónoma - Lisboa. Trainer, speaker and consultant in Digital Marketing Strategies, Video Marketing, Social Media, Mobile, Google, Content and ICT . He has already trained more than 20.000 professionals. A comprehensive book with a simple and practical language, results-oriented. What makes “Marketing Digital 360” a unique and valuable book? Automatic updates, mobile application, social interaction, links and downloads, how-to videos, augmented reality, quiz game, readers community and free online course! Based on the author's professional experience, this book will allow you to start your video production in a short amount of time . The book Video Marketing reflects an approach to the subject ranging from the essential to video optimization, through content strategy, equipment, production and the realization of video to the web, production mobile, YouTube, Facebook, Social media and live streams. Implement a winning strategy on Social Media. 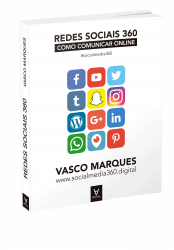 This book is an adventure in the Social Media universe, one of the most important areas of Digital Marketing. Learn how to communicate online, and discover features and benefits of the various Social Media. Provides a 360 ° view of the company, from the analysis as to the practices and strategies. Includes disciplines from different areas of Management and Business, such as Finance to the Information Systems, the Marketing and Human Resources, including new business models on the Internet. In a business environment, develop skills to face the company's reality in an integrated way, learning to make decisions that meet the major challenges that currently faced by companies. Aims to train management professionals, and cover all aspects in the field of Management, providing a sensitivity that goes beyond the boundaries of the area of Business Sciences. As a Microsoft Office Specialist Master Instructor, has been achieved the highest level of certification possible for the world's leading desktop programs, earning recognition by employers, peers, and students. 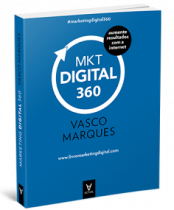 Over the last 5 years, Vasco Marques participated in more than 500 events regarding Digital Marketing. More recently, these events have taken place abroud, in portuguese-speaking countries: Angola, Brazil, Cape Verde and Mozambique. "I believe that he puts passion in every projects that he does because of the way he involves people and transmits his ideas. He has the ability to transmits all the knowledge field in a easy and lightly way." "As I remember, Vasco Marques was a very productive person. He was a fantastic person to work with. Smart expert. Can focus on many tasks at once." "Vasco is a proactive and tireless contributor as an inspiring mentor for the whole staff. He exhibits strong interpersonal skills and a unique capacity for empathy." © 2016 Web2Business - Trademark. All rights reserved.